Company Information : Integrated DisAbility Action Inc.
All prices are quoted in Australian dollars (AUD) – not GST inclusive as GST on memberships is not a requirement for IdA Inc. All transactions are processed in AUD. Policy We deliver products Australia wide, however at this time we do NOT accept international orders through our website, please contact us on +61 8 8948 5400 to enquire about a special order. Integrated DisAbility Action Inc.is committed to providing exceptional customer service. We endeavour to make sure that all products listed on our website are currently available and pricing is true and correct. Please choose carefully. We do not normally give refunds if you simply change your mind or make a wrong decision. You can choose between a refund, exchange or credit where you are unsatisfied with the service provided by us. IdA Inc. will carry over all NEW memberships into the next year if they are paid in the last 2 months of the year. 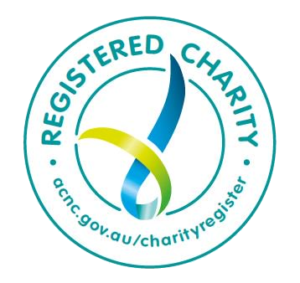 These Terms and Conditions of Sale of membership by Integrated DisAbility Action Inc. are subject to laws applicable in the Northern Territory of Australia.